Why relax by the water when you can be on it? 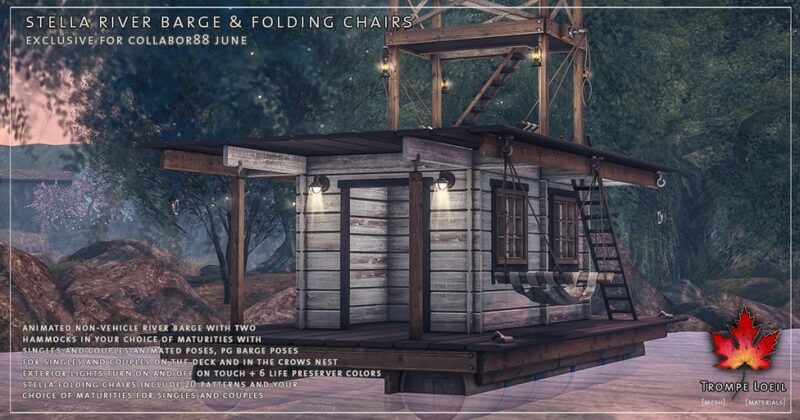 The Stella River Barge and matching Folding Chairs for Collabor88 June evoke long summer days on slow moving rivers, with adventure around every bend! 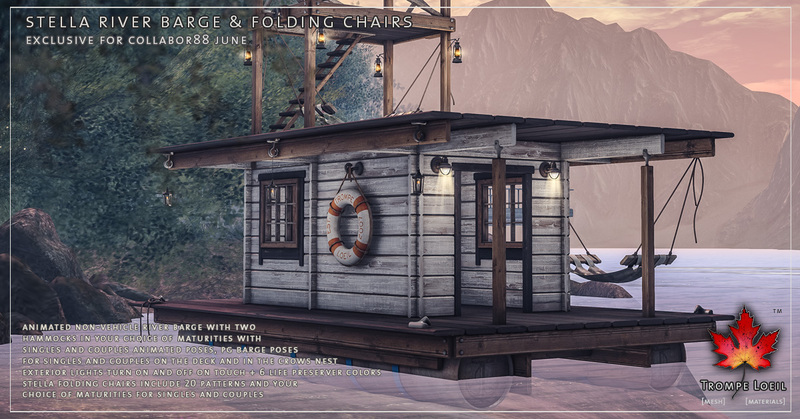 The Stella River Barge is a non-vehicle barge animated for singles and couples – dangle your feet in the water from the deck, flirt around the support beam, or be whisked away to the crow’s nest! 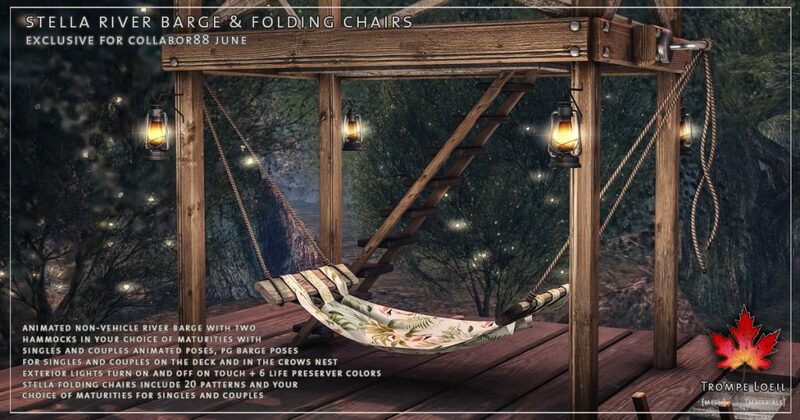 Plus, we include two hammocks, both in your choice of maturities, with tons of singles and couples animations and 20 patterns to choose from. Lots of exterior lights that turn on and off on touch finish the look! 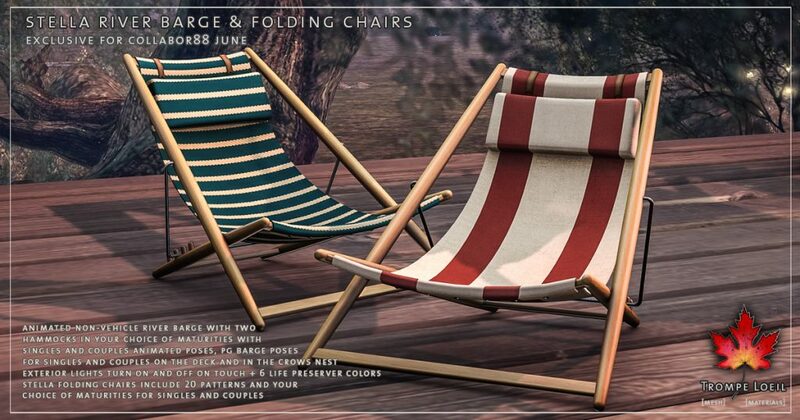 Plus, grab the Stella Folding Chairs and set them up on the observation deck for sunrise and sunset – your choice of maturities, 23 fabric patterns, and a classic look at home anywhere! 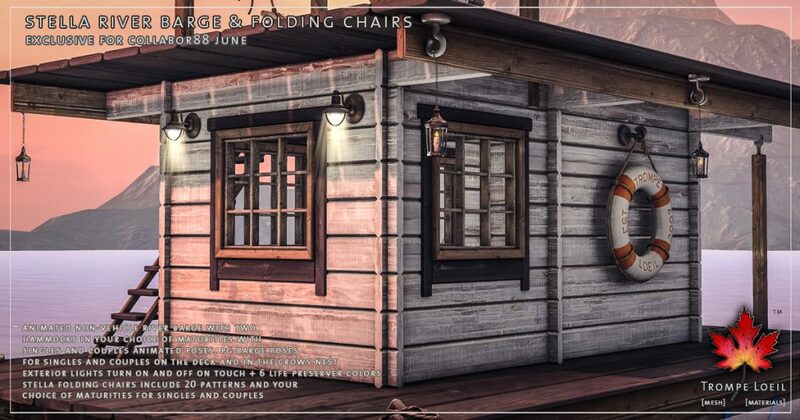 Only at June’s Collabor88 round!